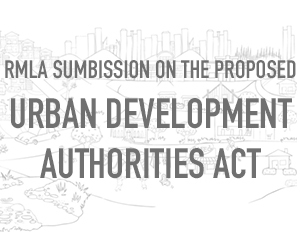 The Government’s proposed Urban Development Authorities Act (UDA) is a set of measures designed to enable major urban development projects to be built quickly, in order to meet spiralling demand for housing and employment. In its current form, however, the Resource Management Law Association cautions that limitations on public participation under the current UDA proposal threatens to erode access to environmental justice to an unacceptable level. In its latest submission, The Resource Management Law Association (RMLA) notes that a requirement to simply consult and consider submissions for a large-scale development proposal without any need for a formal hearing, is inadequate given the likely scale of the proposals in question; the ability to override the existing planning framework (discussed further below); and the potential adverse effects that proposals of the type and scale contemplated by the proposed legislation may have. The RMLA stresses that public feedback often results in better quality plans that meet the needs of local communities. It warns that a lack of participation of both the public and the Courts is likely to reduce the quality of assessment of projects of significance at a local, regional or possibly national scale and could result in disenfranchised local communities. The RMLA submission advises that increased opportunities for public participation should be included in the proposed legislation, including public notification and a call for submissions, rights to be heard before independent decisions makers (including calling of evidence) at a public hearing, a formal written decision, and rights of appeal to the Environment Court. This is particularly so in relation to the establishment stages of the project but arguably also in relation to the development plan stage. A similar process should also apply to the development consent process (including a process for submissions and a hearing). The RMLA also notes its concern that the UDA proposals give the Government extremely broad powers to override statutory plans which have involved extensive community consultation (in accordance with Schedule 1 of the RMA), in favour of provisions formulated in circumstances where the public has had limited opportunities for public participation, and with limited rights of appeal. This is particularly concerning given that the development plan is given precedence over the provisions of Part 2 of the RMA in the context of decision making. Given that the strategic objectives of the development project will be the primary consideration for decision makers in the development area, it will be important that the public has the ability to contribute to the processes for establishing a development project in a meaningful way.